As a rallied collective of professionals, we can develop a design from a gamut of simple notions to complex ideas. We firmly believe that the good structure of a project provides half of success at its creation.The creation of a site, for example is a laborious process demanding the command approach through all specialists: the expert in marketing, the designer, the programmer, the coder and the promoter. The advantages we present are exclusive attention to detail in each project, presence of own program development facilities, time performance, and lastly the notable long- term relationships we continue to have with our clients. Our leadership team hails from unique backgrounds and brings a diversity of skills to the table. Since 2002 we’ve been keeping our finger on the pulse of current market trends and challenging ourselves with new and evolving avenues of design. We take an idea and run with it, there is no time for walking. We elevate your brand with high-flying concepts, and the expertise to take your vision airborne. We work in New York, London, Moscow and Yerevan, so our team is split up into production units — while most agencies and design studios need a sleep period, one part of Fluger is always at work. 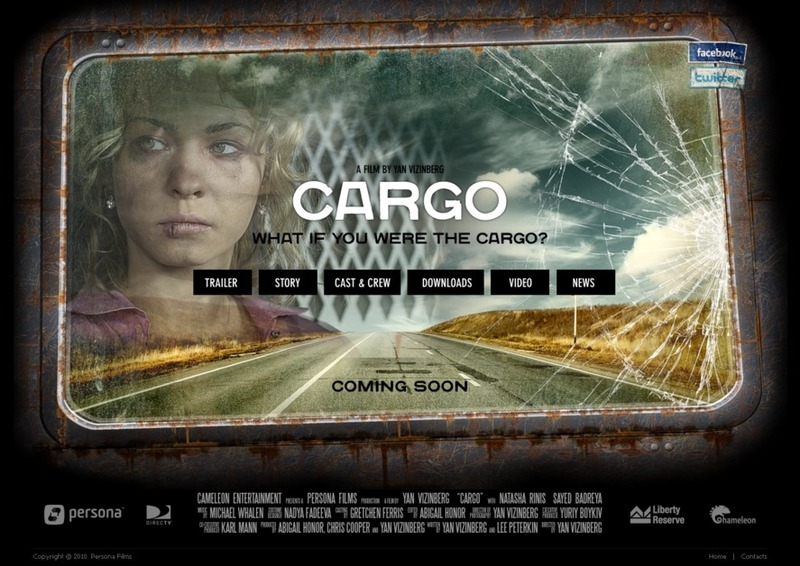 CARGO - Movie Promo Website. A young Russian woman, smuggled into America by human traffickers, and a notorious Egyptian transporter, hired to drive her from the Mexican border to New York City, form an unlikely bond that transforms them and threatens to derail the traffickers’ plans.